The Irish Dental Association says several businesses could be operating outside of European rules on peroxide content. THE BODY representing the Irish dental industry has expressed reservations that companies offering cosmetic tooth whitening services in Ireland may not be operating in compliance with new European laws. 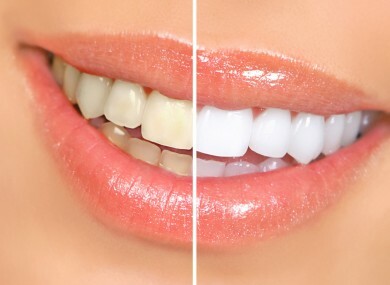 A European directive which came into force last October places a limit on the amount of hydrogen peroxide – the key bleaching agent – that can be used in a whitening solution administered by dentists. However, the Irish Dental Association says it asked four tooth whitening businesses to provide details on the whitening gels they used, and none could do so. Meanwhile, only one of the four said their practice was overseen by a qualified dentist. The European rules also require a dentist to approve the administration of the whitening gel in the first instance, and requires a full clinical exam of the patient before the process can begin. IDA representative Tom Feeney said the purpose of the directive was to ensure patient safety but that this was being threatened by the continued operation of others outside the law. He also warned that tooth whitening products bought over the internet may not be in compliance with the European rules, and that their safety could therefore not be guaranteed. The issue is to be discussed at the Irish Dental Association’s next council national council meeting in three weeks’ time. Email “Dentists' body expresses concern over illegal teeth whitening”. Feedback on “Dentists' body expresses concern over illegal teeth whitening”.